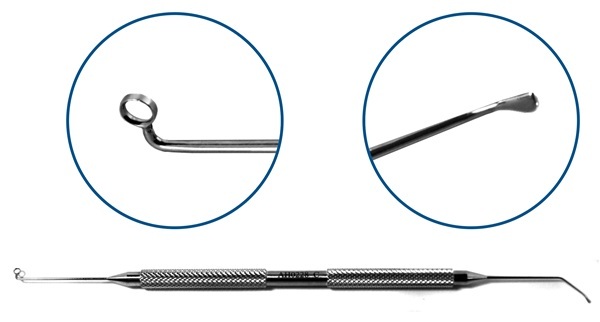 Double-ended, one angled shaft with sweeper tip, 10mm from bend to tip, rounded, teardrop shaped, flat tip, 0.8mm wide. 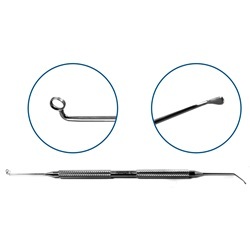 One straight shaft with ring curette, 90 degree angled ring tip, 1.8mm in diameter. Round handle. Overall length: 147mm.